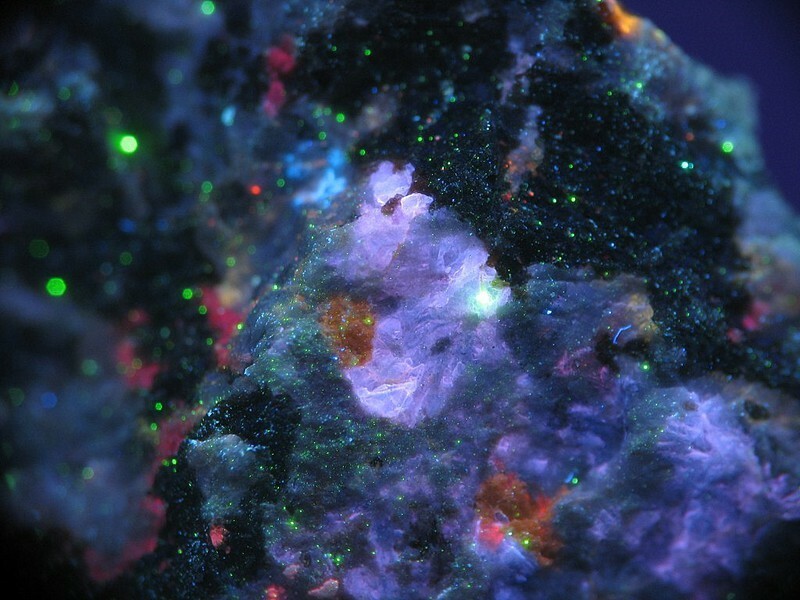 Minehillite: Mineral information, data and localities. Named in 1984 by Pete J. Dunn, Donald R. Peacor, Peter B. Leavens, and Fred J. Wicks for the location, Mine Hill, where most of the zinc and iron mines in Franklin, New Jersey, USA are located. Crystal structure related to that of gyrolite. Reyerite (Na,K)2Ca14(Si,Al)24O58(OH)8 · 6H2O Trig. Truscottite (Ca,Mn)14Si24O58(OH)8 · 2H2O Trig. Wollastonite 9 photos of Minehillite associated with Wollastonite on mindat.org. Grossular 7 photos of Minehillite associated with Grossular on mindat.org. 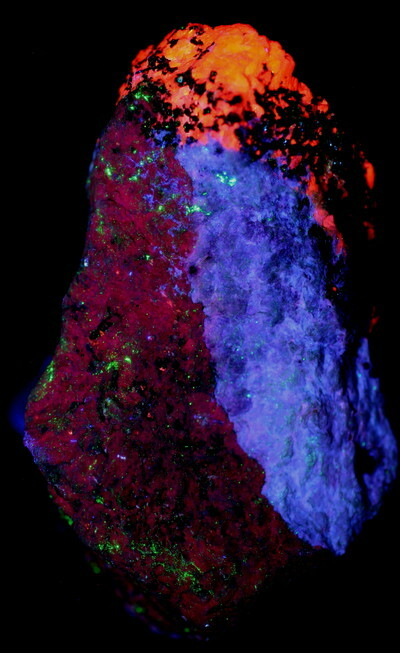 Margarosanite 6 photos of Minehillite associated with Margarosanite on mindat.org. 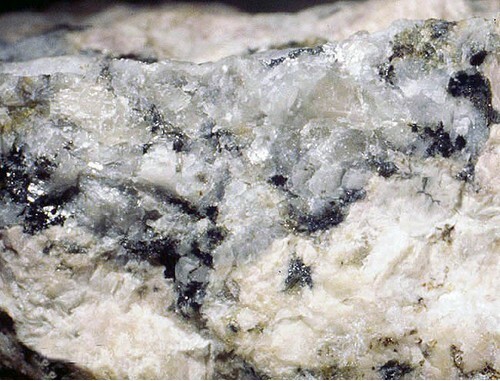 Lead 6 photos of Minehillite associated with Lead on mindat.org. Microcline 4 photos of Minehillite associated with Microcline on mindat.org. Calcite 4 photos of Minehillite associated with Calcite on mindat.org. Clinopyroxene Subgroup 4 photos of Minehillite associated with Clinopyroxene Subgroup on mindat.org. 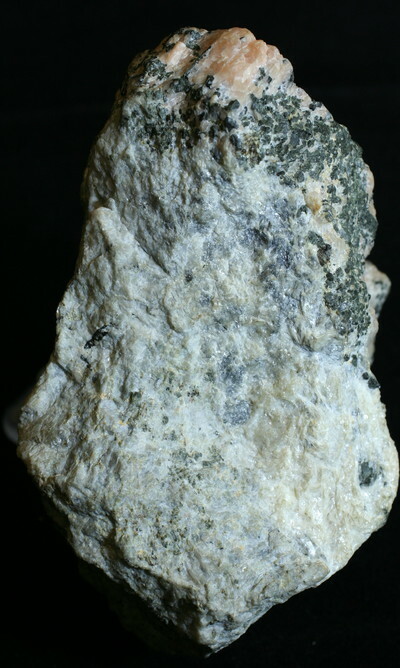 Clinohedrite 1 photo of Minehillite associated with Clinohedrite on mindat.org. Willemite 1 photo of Minehillite associated with Willemite on mindat.org. 73.2.2b.2 Orlymanite Ca4Mn3Si8O20(OH)6 · 2H2O Hex. American Mineralogist (1984): 69: 1150-1155. Dai, Y., Post, J. E. & Appleman, D. E. (1995): Crystal structure of minehillite: twinning and structural relationships to reyerite. American Mineralogist 80, 173-178. Dunn, P.J., et al: (1984); Dunn(1995):Pt4:501-502.